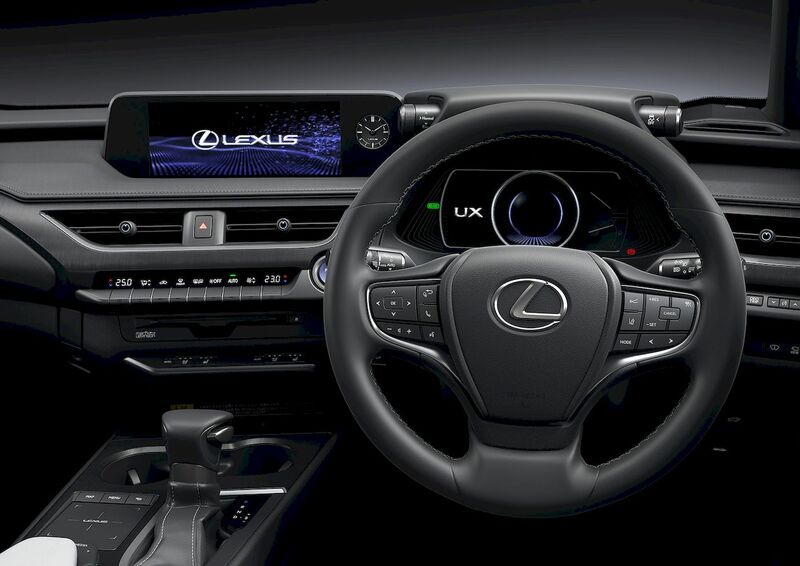 LEXUS’S latest offering, the all-new UX, may be a game changer in an already well-populated segment. The Lexus UX, short for Urban Explorer, marks the brand’s first foray into the compact segment. Admittedly, they are rather late in the game when its European counterparts have already been populating the market with models like BMW X1, Audi Q3, Mercedes-Benz GLA, among others. However, for the luxury Japanese automaker, it seems like they weren’t in a hurry. The delayed entry of the Lexus UX may have in fact given the company more time produce a version without some of the shortcomings from its competitors’ models. There are two variants coming to our shores – the UX 200 with a new 2.0-litre four-cylinder engine coupled with a new Direct-Shift continuously variable transmission (CVT), and the UX 250h, which pairs the same 2.0-litre gas engine with a new fourth-generation hybrid drive system. From the traditional Japanese concept of Engawa-inspired aesthetics to a litany of high-tech features, the Nagoya-based premium automaker is setting its mark to be a major player in this category. To stand out from its competitors, the UX must make its presence felt. The purposeful cuts and creases of the new ride are reminiscent of the proportions of an armoured vehicle and a sporty race car. Indeed, the design of the new Lexus UX is one of its trump cards, following the traditional Japanese concept of Engawa, the essence of Japanese architecture that favours designs that flow harmoniously and coexists with the environment. The luxurious interior is a fine example of Lexus’ Takumi craftsmanship — the superior quality and attention to detail that produces unique touches in all Lexus vehicles. 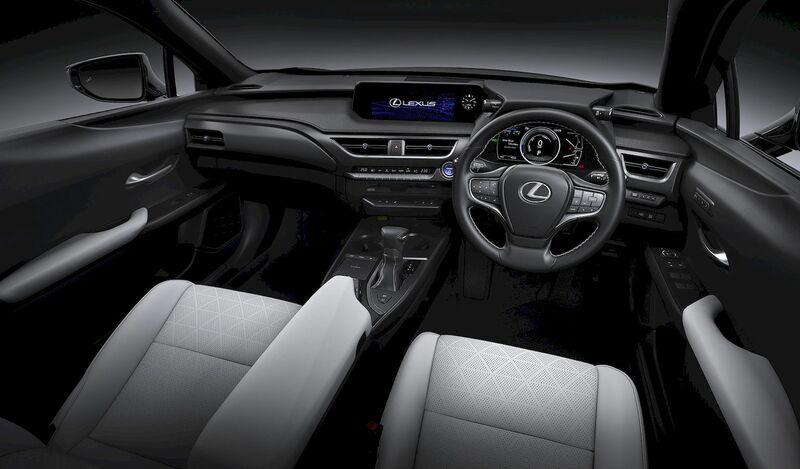 The smooth leather upholstery available for the UX is inspired by sashiko, a traditional Japanese quilting technique that is also used in the making of Judo and Kendo martial arts uniforms. The quilted leather is decorated with perforated patterns that form curves and gradations in perfect alignment, enhancing the appearance of the seats. The UX is also the first Lexus model to offer a new trim grain finish that is inspired by the grain of Japanese paper, known as washi, that is familiar in traditional Japanese homes. Washi is created using slush-moulding and a carefully chosen surface finish. The new Lexus UX is the first on the new GA–C global platform, boasting high structural rigidity and a low centre of gravity to improve ride quality and stability. On the road, both variants perform amicably. On Eco or Drive mode, the new 2-litre, in-line 4, 16-valve DOHC configuration with a maximum output of 170 bhp for the UX200 and 181 bhp for the UX250, together with a 10-speed Direct Shift CVT E-CVT, deliver smooth and comfortable ride. For those who enjoy the full potential of the engine’s output, switch to Sports mode for a more responsive throttle reaction.